I love it when someone calls some car "the nicest around" because it often is such a stretch from the truth. And I won't give the hyperbolists in the room a free pass with this next car, I'll at the most admit that it looks like a blast to own/drive. 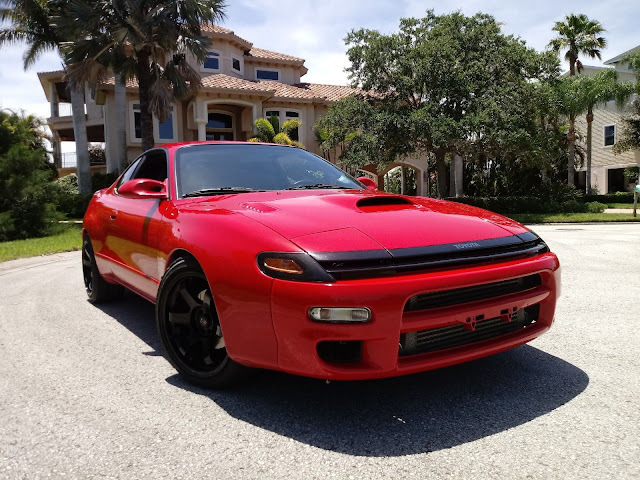 Find this 1990 Toyota Celica All-Trac Turbo ST185 bidding for $6,300 reserve-not-met here on eBay with 3 days to go, located in Palm Harbor, FL. Tip from Dave. I’ve owned this car for about 3 years. I purchased it from a gentleman in Nashville TN who brought it with him from Washington state. 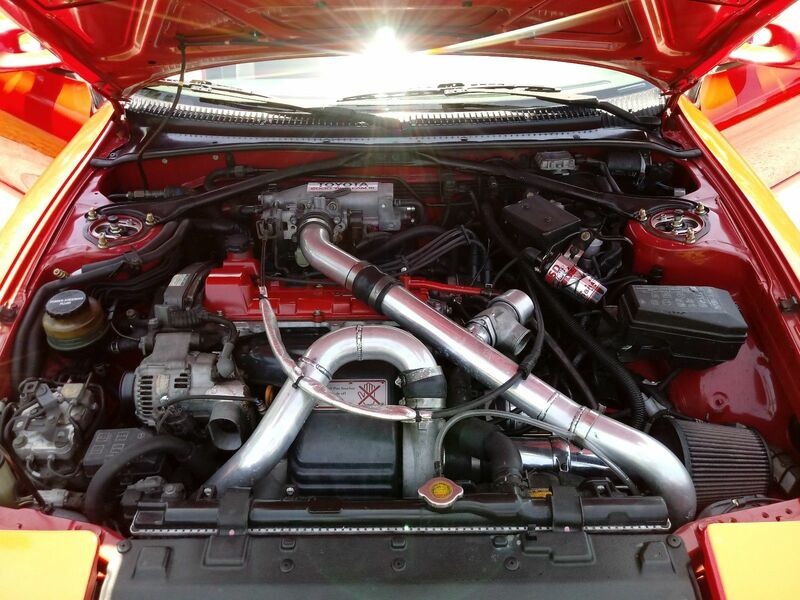 He was a meticulous owner whom is well known in the custom import world. The car was already fully modified when I bought it. I have taken it to the next level through no expense spared maintenance and details. The car looks and drives superbly. 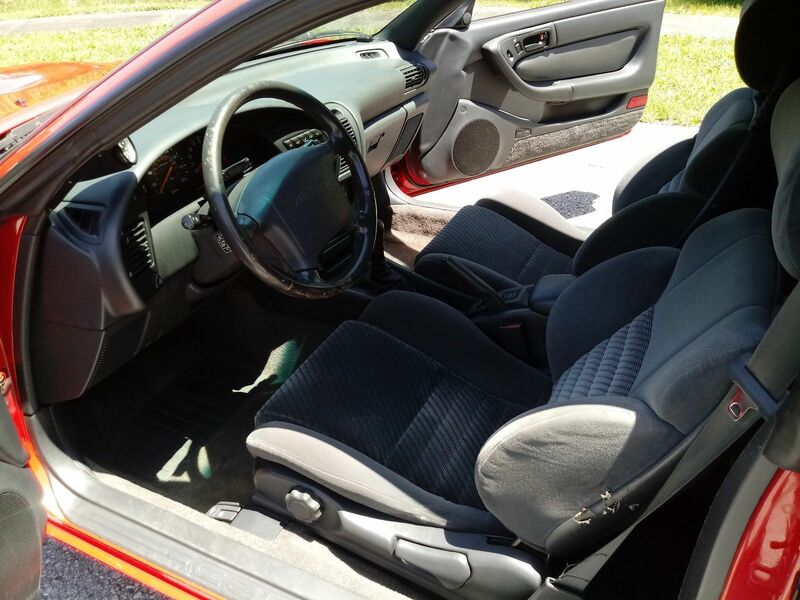 If you have been looking for a genuine ST185 I invite you to consider my car. Body: Absolutely rust free, paint is shiny, Carlos Sainz front bumper – OEM material, not a cheap fiberglass replica. 117k miles on the car. Engine/drivetrain: Original engine that’s been rebuilt/modified. Approximately 50k miles on the engine. Forged internals, JE pistons, metal head gasket, ARP bolts throughout. AEM Series 2 standalone, CT27 Turbo, 3" Aussie turbo back, huge front mount intercooler. Manual boost controller set to 18lbs. Recent new Centerforce DF clutch with new Fidanza LW flywheel. Clutch and flywheel were installed about 500 miles ago. Clutch has stock feel, with no judder or issues. Suspension/brakes/wheels: Recent BC racing coilovers, recent new Stoptech slotted front and rear rotors. Recent hawk HP Plus front pads, recent Stoptech rear pads. Rota Grid II 17x9 wheels, with matching Dunlop Direzza 245’s on all 4 corners. Wheels and tires have about 2000 miles on them and are unmarked. Suspension and brakes were installed at the same time and have about 500 miles on them. This car is 100% daily drivable!!!! I’m selling it because I recently relocated to Florida and don’t have enough garage space for all my cars here. The car looks as good in person as it does in the pictures. It has a very good tune, that has no drivability issues what so ever. It has a real OEM feel to it but with infinite tuneability options. It’s hard to believe that this car is 28 years old. People think it’s MUCH newer when they see it. As with any old car though, it’s got some wear on it. Please study the pictures as they show a lot of detail. One thing that is hard to see in the pictures is the crease on the passenger side front fender, it’s about 5” long in line with the clear turn signal. Also, there is a small ding on the driver door about the size of a BB at the top of the door. Since the car has been in storage the freon has leaked out of the A/C. It did work prior to storage, but has leaked out while it’s been put away. Finally, the tachometer under-reads, this is a common problem that Celica and MR2 people know is down to failed capacitors on the back of the tach – an easy fix. So there you have it. This Celica is gorgeous, it’s one of the best in the country. Why import a rusty one from Japan with the steering wheel on the wrong side, when you can have one that’s ready to go and has the steering wheel on the correct side, and it’s not rusty like the cars that come from Japan are. This car has a clean/clear TN title in my name. Fly into Tampa (TIA) or Clearwater/St. Pete (PIE) and drive it home.. Seriously, drive it anywhere! Car is located in Palm Harbor Florida. I've sold a few of my cars on eBay recently, so take a look at my feedback. Cars out of my collection are exceptional. I do have a reserve on it, that I may lower towards the end of the auction if the bidding get’s close to my number. I’d like to sell it, so bid to win. I might consider partial trades for a pickup truck plus cash, message me what you have. $500 paypal deposit due immediately after auction ends. Payment due in cash or wire transfer. I’d like the car to be collected within 2 weeks of auction’s end. I will not take paypal for the full payment. I will only take paypal for the $500 deposit. Buyer is responsible for shipping if shipping is required. If you’d like to see the car in person, message me and we’ll meet up. Any questions, please ask away…. I try not to litter up the description's of my listings with additional comments once the auction has started. However, I feel as though a few items need to be addressed. I have been asked several times if I will end the listing early. The answer to that is no, as it won't to be fair to all interested parties. I have also been asked many times what the reserve is. In my experience of car auctions (Mecum, Barrett-Jackson, etc.) reserves are not disclosed, so I will not be disclosing the reserve on this car. My suggestion to anyone interested in the car is to bid what you're willing to pay for it, that's the way auctions work. Finally, I have been asked questions that are clearly described in the listing description already. If you ask a question that is already answered in the original description I will reply "Please read the description", simple as that. 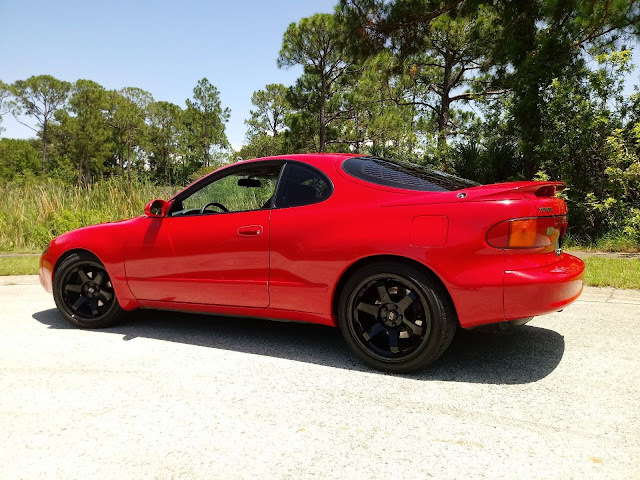 Thanks again to anyone that's interested in this car. If it sells, someone is going to get one of the best ST185's around. My first thought for a comment is "always wanted one of these", but then I think about that statement, and realize that the next words that follow it should be "just never enough to pay money for one." And once you buy it, you'll be just like this guy: hoping someone, anyone, will give you what you have in it. It's hard owning and keeping a car like this really nice when the market doesn't support the price you need to part with it. Both of y’all are spot-on, in my experience. Thankfully, I got over the notion of value equity in used (enthusiast) car commerce very very early. It was a bitter pill (I assume, I don’t remember anymore) but accepting it made this hobby completely enjoyable to me, as opposed to mostly so.